We are pleased to offer for sale this One Dollar Bill Silver Certificate "Funny Back" Series 1934 US Currency Good or Better. These $1 Silver Certificates are nice original bills which grade good or better. These $1 Silver Certificates were redeemable for silver dollars or silver bullion up until 1964. These notes are Series 1934. Each bill comes in a currency sleeve for protection. These $1 Silver Certificates will make a nice addition to any currency collection! In 1929 all US Currency was changed to its current modern size. Silver Certificates as well as Legal Tender Notes were the first small sized $1 bills issued. The obverse features a cropped version of George Washington's portrait that was previously featured on large size $1 Silver Certificates. The reverse features a large ornate "ONE" superimposed by "ONE DOLLAR". Because of the reverse, this bill is sometimes referred to as a "Funny Back". The note's seal and serial numbers are printed in blue. The series 1934 bill can be differentiated from past series by the placement of the treasury seal on the right side of the obverse of the note, superimposed over "ONE". Also on the obverse under Washington, "ONE SILVER DOLLAR PAYABLE TO THE BEARER ON DEMAND" has been changed to "ONE DOLLAR IN SILVER PAYABLE TO THE BEARER ON DEMAND". 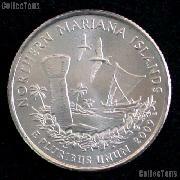 This change was made to reflect the Silver Purchase Act of 1934.